Yes it can be a lengthy policy to review but when renewing your policy or comparing policies here are a few key areas to review closely. 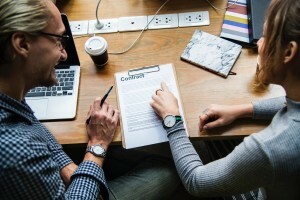 was or is an Independent Contractor, provided that such person is acting within the scope of their duties on behalf of the Named Insured or Predecessor Firm. While this insurance companies definition does not include the independent contractor as an insured person. There are some insurance companies that do not require consent from the insured prior to settling a claim. Be aware of that in your firm’s policy. Another area to be aware of is the Extended Reporting Period options with the companies. Does the company have a long enough time period that you feel would be adequate for your firm. Always read and understand your Professional Liability policy in full. If you do have questions about your firms’ policy please call or email your Professional Underwriters agent.